By dressing the wheel, we ensure the surface of the wheel is even and produces accurately shaped surfaces. Dressing the wheel is one of those factors that have an impact on whether the desired goals are achieved in the process of grinding. By dressing the wheel, we ensure the surface of the wheel is even and produces accurately shaped surfaces. The process of dressing and changing the conditions of dressing affect the topography of the grinding wheel which consequently impacts the process of grinding and the desired outcome in the ground surface. 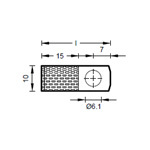 When it comes to grinding technique, we help you in selecting the proper diamond dressing tool for you and offer you advice on the parameters of dressing. 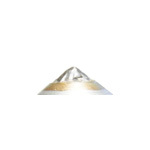 These dressers with natural diamonds are useful in a wide range of applications and feature high-quality diamonds. 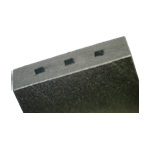 For abrasive cutting, oscillating and profile grinding. 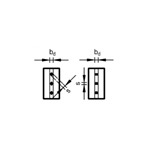 MKD and CVD diamonds come in rectangular or square shapes with various section dimensions. 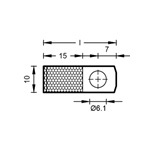 They are often a substitute for more expensive profile dressing tools. The tools are practically maintenance-free through their use, save time in dressing, provide high performance and long lifecycle. These tools are supplied in impregnated, needle, CVD and MCD varieties. Diamond grains, needles and sticks are allocated and mounted in sintered wear-and-tear resistant metal. 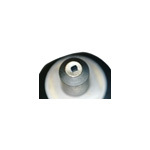 The bond or rather the metal differs in hardness and the type of the grinding wheel. The dimensions and quality of the mounted diamond elements are selected in accordance with the type and dimension of abrasive grains. 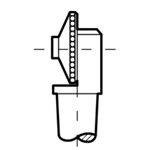 Dressing blades come with standard dimensions and are intended for replacements in the holder. 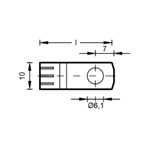 In addition, special purpose dressing blade tools, soldered and in dimensions adapted to the machinery and the demands of the customer are available. 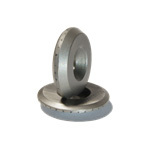 Dressing blades are applied in round grinding, centerless grinding and flat surface grinding. 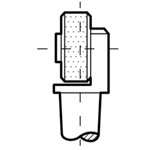 They can also be used in the processes plunge, oscillating and profile grinding. 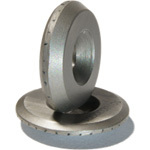 Diamond dressing wheels make the dressing process faster and offer an excellent cost-effective ratio. Diamond dressing wheels make the dressing process faster and offer an excellent cost-effective ratio. In addition, these tools have high performance and long lifecycle. Diamonds are manually mounted in a wear resistant sintered metal. The shape and type of the selected diamonds are determined by the process of grinding and by the type and size of the abrasive grains in the wheel. They are applicable on wheels in vitrified or synthetic resin bond with normal, sintered and silicon carbide abrasive grains. Applicable for wheels with dimensions of up to 1500mm in vitrified or synthetic resin bond with aluminium and silicon carbide abrasive grain. 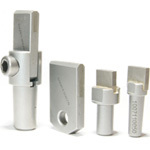 These tools make up for faster dressing and have an excellent cost-to-efficiency ratio. Besides, they have high performance and long lifecycle. 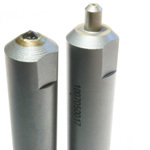 Multi-grain diamond dressing tools contain natural or synthetic diamond grains which are inserted in sintered metal. 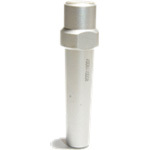 These tools are practically maintenance free throughout their use, are robust and stable, and enable speedy dressings. The type of the dressing tool and the diamond grain are selected depending on the machinery and the quality of the grinding wheel. 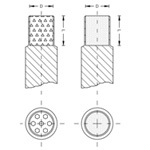 MKD and CVD dressing tools are appropriate for dressing conventional aluminium oxide grinding wheels and in particular for wheels from sintered and silicon carbide corundum. MKD and CVD diamond dressing tools In recent years there has been an increase in the demand for diamond dressing tools with MKD and CVD diamonds. This type of dressing tools combines to a certain extent the features of natural diamonds and enables a defined diamond shape. The tools are mounted with square- or rectangular-shape diamond sticks which ensure constantly repetitive processes of dressing. The active width of a diamond remains the same throughout its use. Intersections of diamond elements and the bond in which diamonds are inserted are chosen depending on the hardness of the grinding wheel and the type of abrasive grain.